August was a Back to School themed envelope. It had a picture of the girls on the first day of school from last year along with 37 dollars for Bob to take the girls back to school accessory shopping. 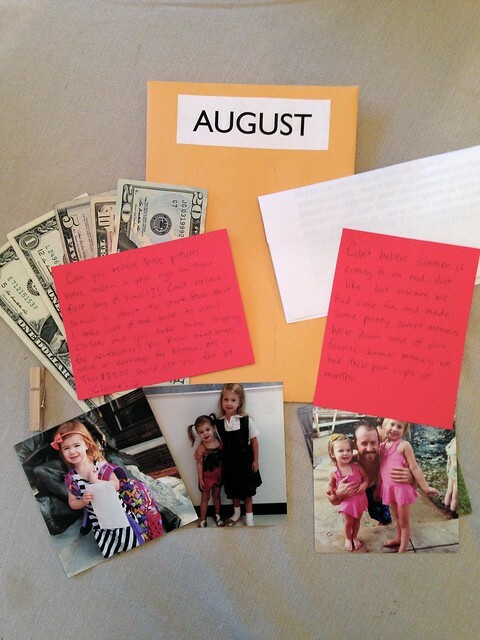 The note was from Jordan and Brittany and Bob was to write about some of his favorite summer memories in his journal. 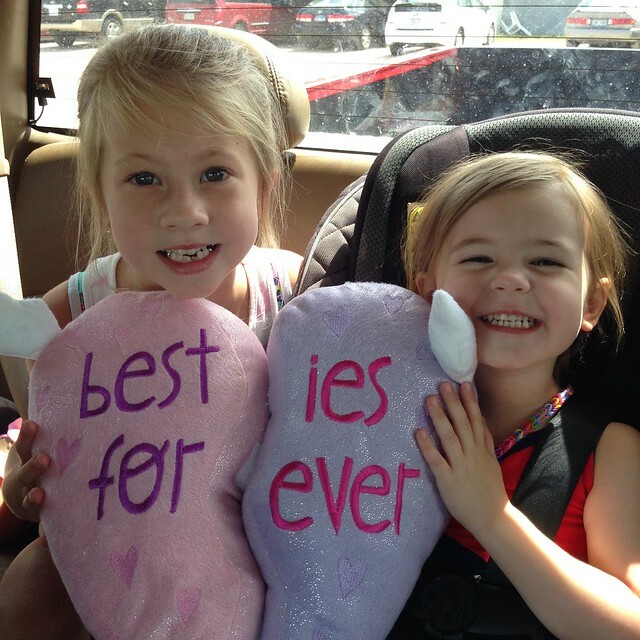 He took the girls to Claire's and let the girls pick out some one piece of jewelry, a key chain for their backpacks and the cutest BFF pillows.